The CIF will host its second Women in Construction Breakfast Briefing event #BuildingEquality from 8am to 10am on Tuesday 26 September at CIF Headquarters, Construction House, Dublin. 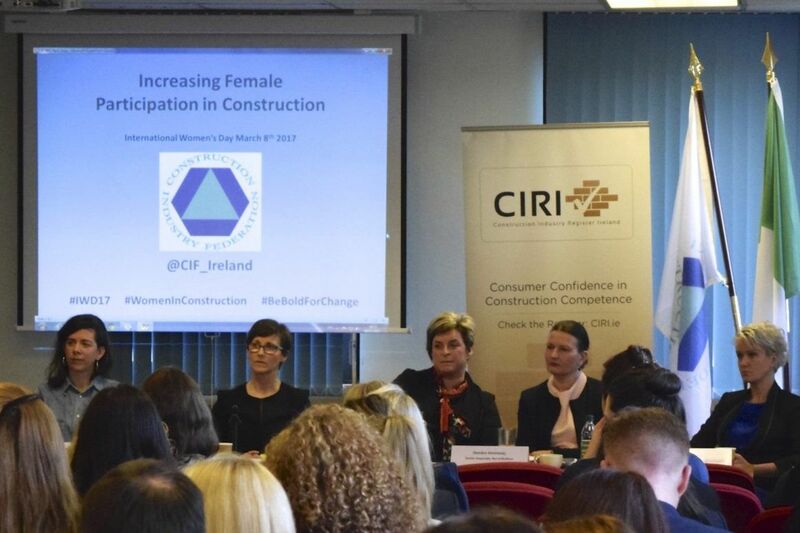 This is event follows on from the CIF’s very successful Breakfast Briefing Increasing Female Participation in the Construction Industry on International Women’s Day in March. It is estimated that the construction industry will need over 112,000 new employees across traditional and new trades and professions up to 2020. This is a huge opportunity to provide sustainable careers to Irish people, develop more world class construction companies and to develop expertise in modern construction whilst delivering Ireland’s housing and infrastructure needs. However, the industry is facing an impending skills shortage, across all trades and professions. The CIF is keen to promote diversity within the construction sector at all levels and encourage more young people into the industry. Increased infrastructure critical to solving housing crisis and ending boom/bust cycle in construction industry.